Last week the Mercury Planetary Orbiter (MPO) flight model has successfully finished its Radiated EMC Test in the Maxwell EMC facility. The test was composed out of EMC launcher compatibility, MPO EMC auto-compatibility and radiofrequency auto-compatibility. The MPO is ESA's scientific contribution to the BepiColombo mission to Mercury and has been developed and integrated by Airbus Defence & Space and Thales Alenia Space Italy. In order to perform the Radiated EMC test a dedicated setup has been provided by ETS in cooperation with 'Machinefabriek West-End B.V.' This setup consists of a base frame which support the MPO multipurpose trolley including MPO and the motion / turning system for the RF transparent tower supporting the high gain antenna. With the aid of the motion system it was possible to adjust the MPO high gain antenna exactly in the required test position. The next BepiColombo test is the Mercury Transfer Module (MTM) Thermal Vacuum and Balance Test in ESTEC's Large Space Simulator. Last week CHEOPS SQM has successfully finished acoustic noise testing in the LEAF. 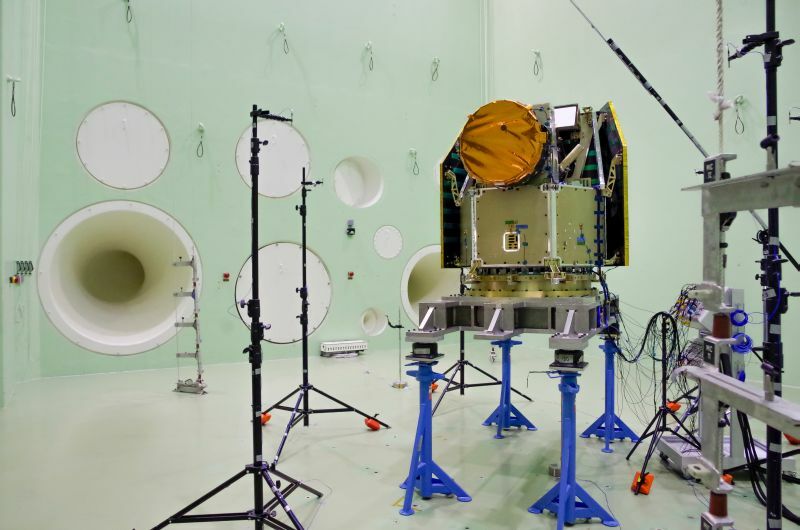 The Characterising EXOPlanet Satellite (CHEOPS) is provided by Airbus Defence & Space Spain, the CHEOPS mission is a partnership between Switzerland and ESA's science programme. This mission is dedicated to search for transits by means of ultrahigh precision photometry on bright stars already known to host planets. 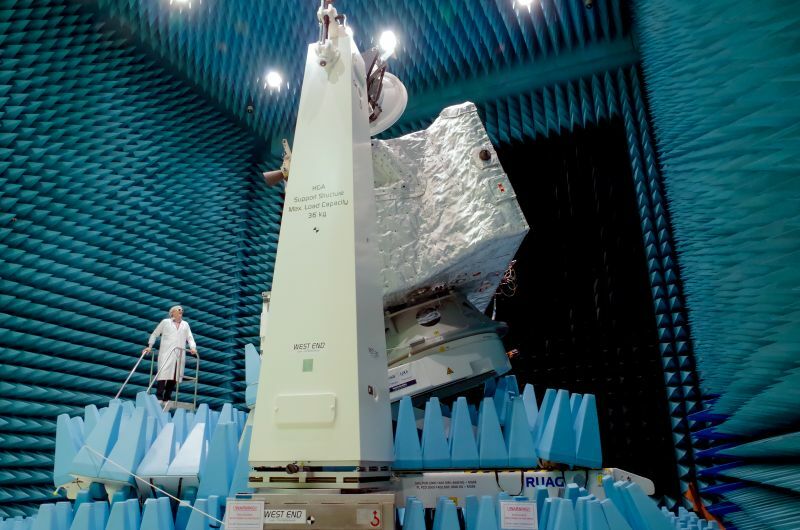 In a few months the PFM test campaign will start for which ETS will perform the Acoustic and EMC tests.